Hampton, Georgia, is located 25 miles south of Atlanta and is home to approximately 5,000 people. While the population has doubled in the past two decades, Hampton has significant amounts of vacant land within a short walk of its quaint downtown and Historic depot, particularly along State Route 20. 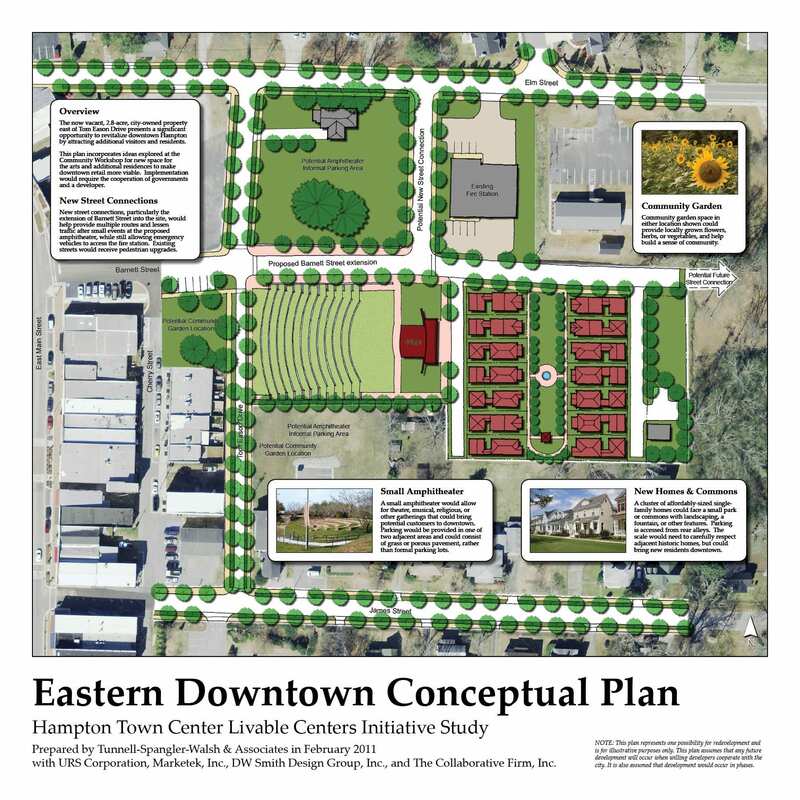 In order to develop a comprehensive vision for vacant land and the core of the town, TSW was selected in 2010 to lead a Livable Centers Initiative (LCI) study for Hampton. 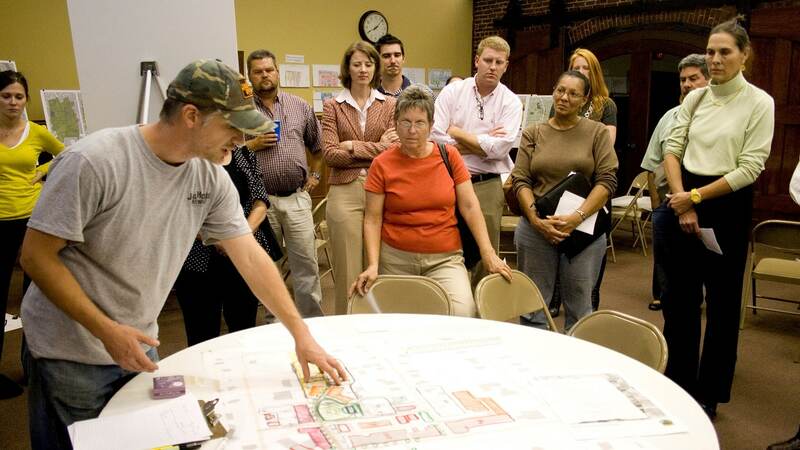 A series of public meetings and a community workshop allowed locals to shape the vision in order to preserve the small-town, rural feel that they value. 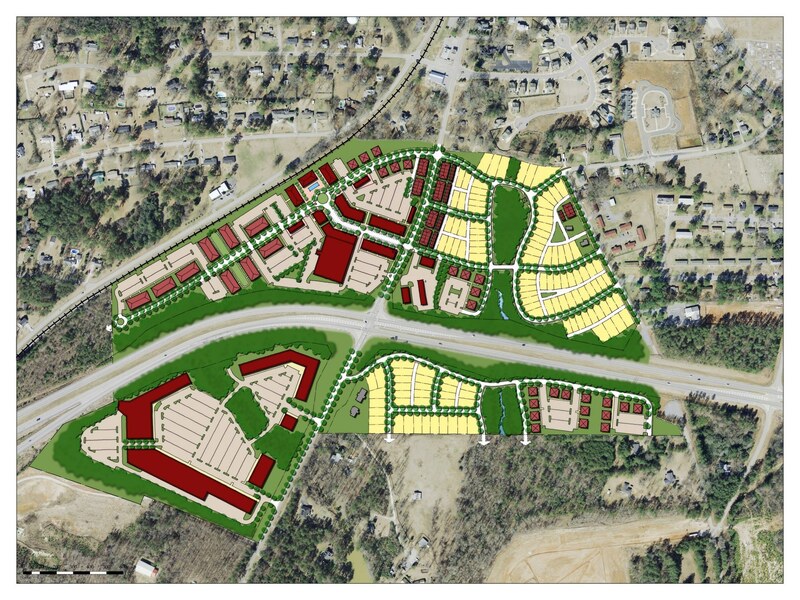 The vision that emerged from the planning process includes a conceptual plan for a new town center centered on a proposed passenger rail stop along the Atlanta-Macon line. This town center would integrate big-box retail in a pedestrian friendly format, allow a significant number of new residences designed to be compatible with a small-town environment, and serve as an extension of the existing downtown. One of Hampton’s most important assets is the Atlanta Motor Speedway, which brings hundreds of thousands of visitors to within 1.5 miles of Hampton’s downtown each year. The plan recommends improvements to help attract these visitors, including a small amphitheater on vacant city-owned land. The plan also focuses on strengthening existing businesses downtown. 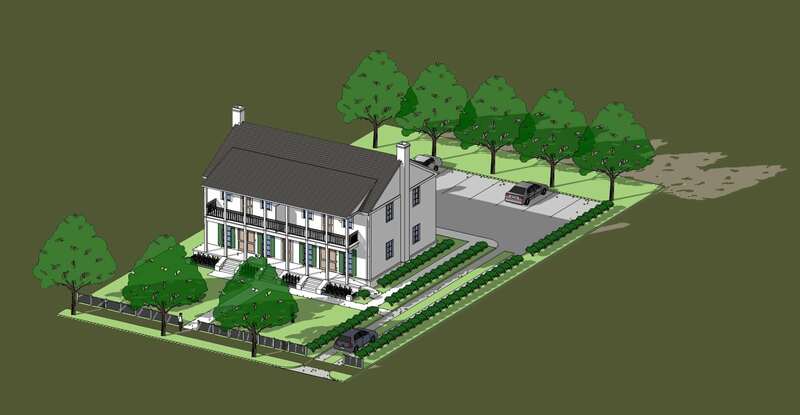 A series of other recommendations have the potential to transform Hampton with improved streetscapes, walking and biking paths, expanded park space, and code amendments to promote compatible growth. 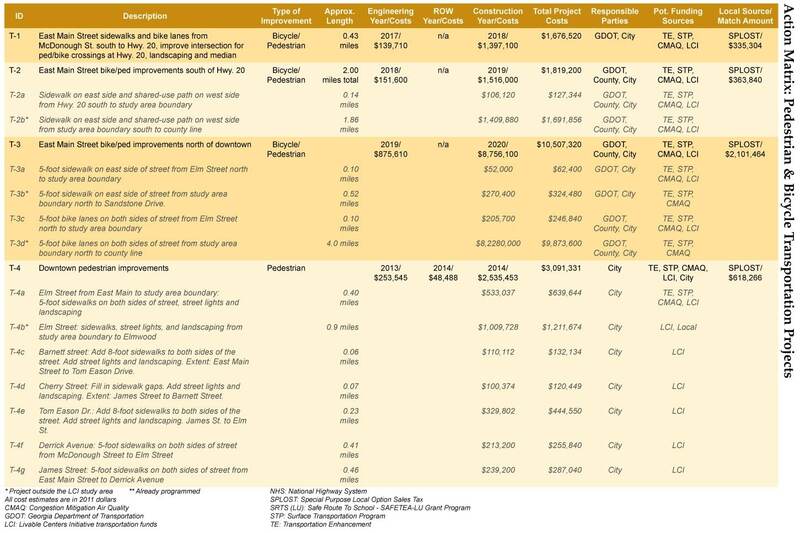 Implementation is a key focus of the study, which identifies specific timelines and funding sources for each public improvement, several of which are already being pursued.